Would you buy a flat-screened (non-edge) Galaxy S10? Word on the street is that we are about to see a plethora of new Galaxy S10 devices introduced in a little more than a month. Disregarding the different 5G and 4G models, the variants boil down to three distinct phones. The rumor mill says that Samsung is "pulling an Apple" with two super-premium flagships and a more affordable variant, which will have the same powerful hardware as its bigger siblings, but cut all the right corners in order to bring the price down. We are calling it the Galaxy S10 Lite, though some leaksters say it may be named Galaxy S10 E for whatever reason. And one of the main corners it would cut, some say, is the Infinity edge display. Instead of having a screen that curves around its sides, it'd have a classic flat screen. Of course, Samsung used to do that before — the Galaxy S6 and Galaxy S7 both came in "normal" and "edge" variants. Since the S8, Samsung kind of took that choice away from users — if you wanted a flagship Galaxy, you had to pay for the curved display. Now, presumably, this was done because people preferred the edge variants anyway, and the aesthetic gave Samsung's devices their own signature look. But that doesn't change the fact that some users missed their flat screen choice for mixed reasons. A less stable grip around the frame, lack of case diversity, screen protector fit, and image distortion around the edges of the device are probably the main gripes customers have with the curvy displays. And, of course, price — ever since Samsung's flagships went "edge only" they also jumped up in price a bit. Though, that may be unrelated, as others in the industry have been inflating their prices over the past couple of years as well. In any case, let's imagine the rumors are true and we get to buy a flat-screened Galaxy S flagship yet again. Would you rejoice? Would you buy a non-edge Galaxy S10? Yes, I've been waiting for that! Yes, but only because it'd be cheaper. No, the edge look is the coolest thing around! Yes, I've been waiting for that! Yes, but only because it'd be cheaper. No, the edge look is the coolest thing around! So long as it was equally spec'd otherwise. Screw that damned curve! How about an I don't care either way option? Yep, that the way i feel Flat or curved is fine with me. Edge screen is pointless and negatively impacts my user experience on the Note line up. Absolutely, it's the one of the few things I don't like about my S9+. Then you should not have bought it. Edge screens as 70% of why I've skipped the S8 and S9. I like a lot of what Samsung does, but if they don't smarten up and bring back flat screens on the S10 I'm gonna have to go somewhere else. Yes I'd prefer a flat screen, but I also want an in-screen fingerprint scanner so the S10 Lite isn't for me. In-screen reader would be nice, but flat screen is more important. Rumors are that the flat will have the reader in the side, that's still better than being on the back. Agreed. Having a flat, bezel lite screen at a lower price is why I'd choose the lite. In display scanner would be awesome, but on the side is even more convenient for me. I work at a desk so a fps on the front of my device is the most ideal location. This is partly why I'm still rocking my Note 5. I tried using an Essential phone for a couple of weeks but couldn't stand having the fps on the back of the device. That's a good chunk of why I skipped the S8 and S9 too, I don't want the reader on the back. I had a Z5c before my S7, so I know I like the reader on the side too, but back is no go. In a heartbeat, and I'd love to see a flat screen Note 10 variant. No doubt, I still have my ancient Note 3 and it offers a better experience than my Note 9 for editing photos in Lightroom on the go. Screen is wider and the pen can actually be used edge to edge giving me a larger canvas or workspace with the 4:3 aspect photos. As good as the edge looks, no doubt the flat wide screen is easier to work on. Definitely ! I hate curved edges, and the flat screen S10 E will be around 6-8mm shorter than the regular S10, even better ! I just hope it has the same main camera, like the iPhone XR (did I mention I hate multi-camera setups too ?) If the fingerprint was on the back, it was a no-deal for me, but on the side it is quite acceptable. The edge screen is a gimmick that needs to go, especially on the Note series. Hoping the edge gimmick will die a slow death like curved tvs myself. I don't like curved screens: point! Yes I got fed up of the reflection on both sides of Samsung phones. I like the curved sides on the Note 9. No phone feels better in my hand than the Note I am writing on right now. Like some say about the notch, I don't really notice the curved edge when I'm using the phone. I have never used a non-curved edges Note, though, so I might feel differently if I had. I held out as long as I could to see if Samsung would go back to flat screens and a wider aspect ratio Note. I just gave up and retired my Note 4 for a McLaren Oneplus 6T. I miss the pen, but can't stand curved screens for all the reasons stated by others: distortion, difficult to protect, smaller working surface, etc... And lastly....paying a higher price because of it. Definitely yes. I really hate the edge screen! "pulling an Apple" I don't think Samsung's S10 Lite will be packing a screen from a 2014 mid-range phone. I like the curved screen, so it's good at least Samsung will give its users some options. 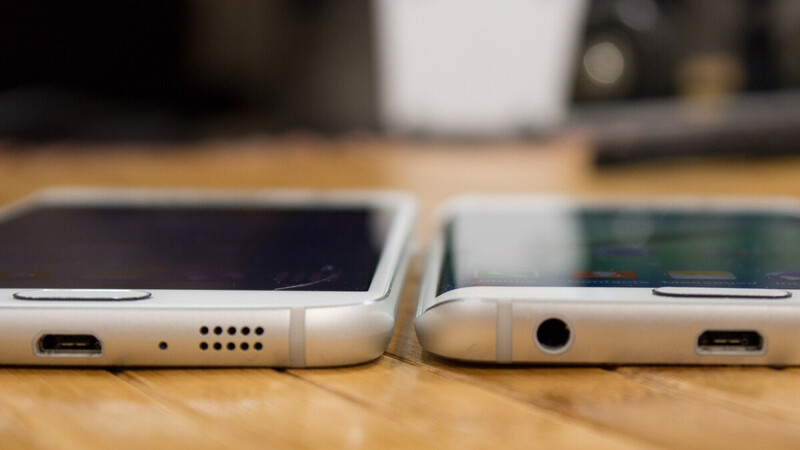 I can see most people prefer flat ones, but I hope there's always an option for those who like the curved screens.